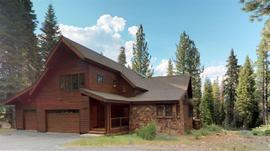 Currently there are 3 properties for sale in Alpine Meadows. Properties range in asking price from $769000.00 - $1049000.00 with an average asking price of $872333 and a median asking price of $799000.00. Price per square foot ranges from $367.04/Sq Ft - 459.93/Sq Ft. On average these 3 properties have been on the market for 183.33 days. 0 of these properties have reduced their asking price with the average reduction being $0. 0 of the properties are distressed sales (either REO bank owned or Short Sale). In the past 180 days, 11 properties have sold in Alpine Meadows. Sales prices during this time period ranged from $426000.00 - $3650000.00. On average these properties were on the market for 106.82 days and final sales prices were on average 98.05% of the original listing price. 54.55% of the sales were reported as cash sales. 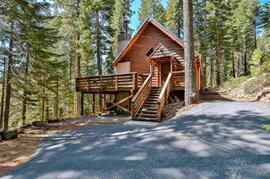 The valley, the mountain, the creek...owning a home in Alpine Meadows is awesome! The community of Alpine Meadows is located 5 miles north of Tahoe City and offers great access to both north Lake Tahoe and the incredible ski resorts of Alpine Meadows and Squaw Valley. Bear Creek runs the length of the valley and many homes back to this open space. Advanced skiers are able to ski back to properties on the southwestern side of the valley. Be prepared to embrace winter in the community of Alpine Meadows, it snows a lot here. Roads often close for avalanche safety but that’s part of the fun in communities like Alpine Meadows. Between Squaw and Alpine is Western States Trail, a challenging and great mountain bike ride with many switchbacks, steep ascents / descents and fun terrain. 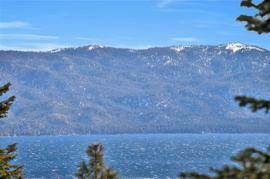 No active listings for Alpine Meadows.